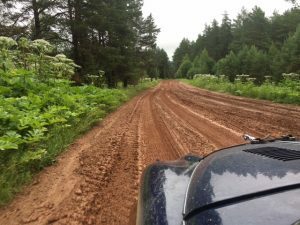 This was great fun this morning, three forest stage tracks in quick succession, exuberance noted by pretty quick times despite assurances that we were taking it easy. 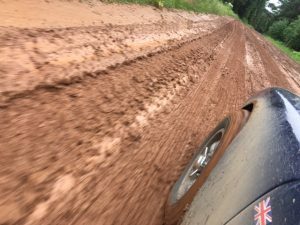 The surface of hard clay and mud made even more slippery by recent rains (see first image of nose not quite lining up with track!). 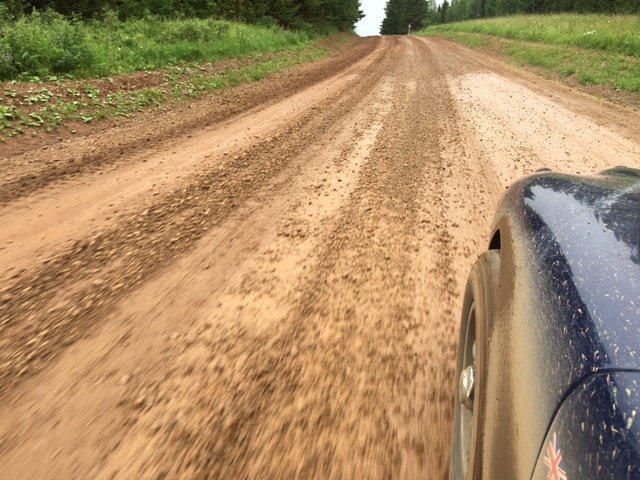 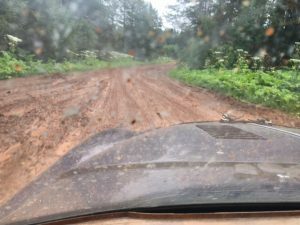 It was however delightfully free of rocks (If I were ever to do this rally again the Jag would be on Monster-truck suspension and wheels) which meant that the speed was not going to cause imminent destruction if any remaining working suspension parts.